A very well balanced line of bass trombone mouthpieces, coupled with our Classic rim design, and mounted on a generous blank. 1: The largest rim size offered. Intended for professional players that are used to playing larger equipment and have the strength/endurance to do so. 1.3: A very well balanced mouthpiece that provides the support you need in all registers. 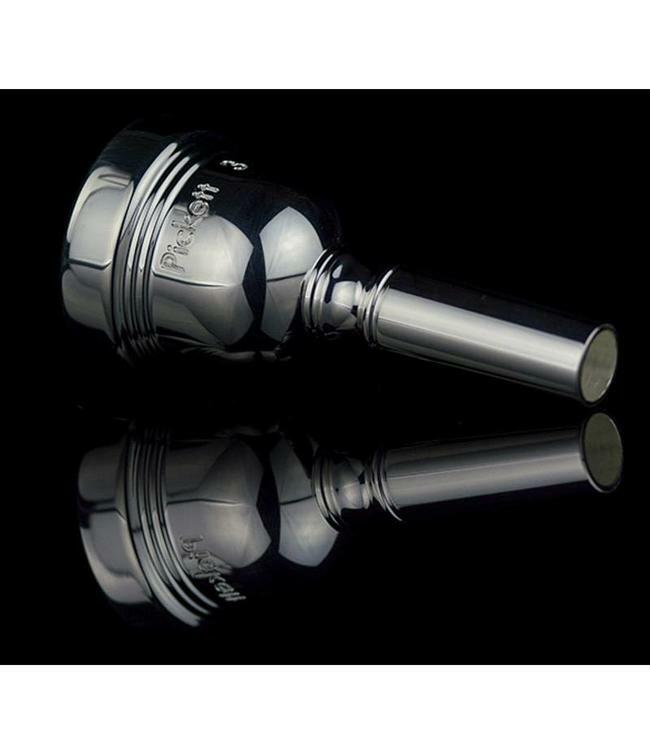 1.5: A well rounded and balanced mouthpiece intended for all musical scenarios. 1.6: Very similar feel to the 1.5 but with a slightly smaller rim diameter. 1.75: Dense and compact tone while still retaining excellent balance and response. 2: The smallest bass trombone rim size offered. Ideal for bass trombonists looking for a more compact sound. Great transition mouthpiece for tenor players that are new to bass trombone.